Those who are familiar with special matched betting know that there can be requirements, such as special offers or bookmaker bonuses in order to work. But what if I were to tell you, for example, about a system that, by using the power of compounding, you could turn a relatively small £500 bank into a sizable cash return by reinvesting your winnings? Announcing the Betfair Betfair 1% Club System. Yes, I’m talking about a system that allows you to begin with only £500 and set a goal of £5 profit per game and makes that easily achievable? What about other exceptionally profitable betting approaches that can eliminate the pitfalls that one can encounter? Interested? Well, that’s what this review is going to check out. So, let’s take a serious look at the Betfair 1% System. In this review, we’ll go over exactly how the system works along with a bank building plan and, most importantly, how much you can expect to make while using this plan. We’ll also take a look at examples of how the system works, as well. Now, we all know that there are a lot of Betfair trading systems that you can find, which will range anywhere from low risk to very high risk. But I’d be willing to bet (pun intended) that there are many folks out there who would be extremely interested in a consistent trading plan that was also ultra-low risk. You know, a plan that pays you on a regular basis – like clockwork! Well then, let’s take a brief look at some of the various plans that are included in this massively profitable offer and then you can decide if you’d like to look at this system a bit further. Here, we have a method that utilizes the power of compounding, in order to increase a £500 bank investment to what can be considered a “small fortune”. How? Well, let’s imagine that you only have £500 to begin with and your goal is £5 per game. Not too unreasonable, right? With the 1% Betfair Club System, you would expect your bank to immediately increase to £504.75 (that’s because you’ll be paying 5% Betfair commissions on your winning bets). At this point, I sense that you’re less than thrilled. But stay with me here. Using basic maths, it becomes apparent that after 75 betting days, your initial £500 bank investment has grown to £1000. After 245 betting days, you hit £5000. I think that’s a bit more thrilling. Now, don’t get me wrong. In real life, things rarely go this smoothly. Of course, you would expect both winning and losing days along the way. And just as you might find minor losing streaks, you’ll see that a balance can be created with winning streaks, as well. For example, I’ve had 3% in one session. However, the obvious point that I’m trying to make should be clear. You can start with a small investment and, by sticking to this plan; you can turn it into a significant amount of cash with very little effort involved. The system that this plan teaches involves doing your trade prior to the time that the game kicks off – by locking in a profit no matter which team happens to win! Nice, wouldn’t you say? The best part, however, is the fact that this system actually works! Here, you’ll be taking advantage of the ultra-efficient match odds, market in the world’s largest leagues, such as; Premier League, La Liga, Series A, Bundesliga & Champions League. If you’re wondering why everyone doesn’t just bet according to this type of system, I’ve got an answer for you. First of all, it’s been my experience that most folks, who place bets, don’t know enough to use a proven betting system. They just bet according to their gut or the limited amount of information that they have available. Secondly, without the benefit of a ready-made system (such as the Betfair 1% Club System), the maths that would be involved (to create their own system) is more than the average person is willing to do. This is why a proven betting system is usually the only way to go if you want a regular income from the bets that you place – especially if you only have limited funds to begin with. With this particular strategy, you’ll be offering a back & lay bet on both sides of the book, in order to make a profit no matter what the outcome is. Since there is a huge amount of bets that are matched (along with market stability), you’re like to see the bets taken in only a few hours. It may also be possible for you to recycle your funds and head on back in again! The rules are simple but not everyone finds them perfectly clear. That’s why this system has taken the time to go into great detail when it comes to explaining everything that needs to be done. While that is a great advantage, it should be mentioned that the most important thing is that the system shows you what NOT to do. Here, it’s one of those betting strategies that you can set and forget about until the actual event takes place. Now, while a £1000 bet returning £9.50 may not appear as the most exciting thing in the world, consider this. With this system, you can go in again, once the bets are matched and make 2-3% on the trade – provided the money is matched quickly enough. At this point, you’ve submitted a back & lay bet that will most likely be taken between 1 and 6 hours. Now, just sit back and only plan to check the progress once every hour! The Betfair 1 % Club System also provides highly valuable information pertaining to some useful rules for picking selections and rules for placing bets. These are specific rules and if they’re not followed it can result in you losing money. This is information that could take a number of years to accumulate through trial and error. Having this information placed at your fingertips is invaluable to those who are interested in earning a steady source of income with their betting efforts. This system has evidently proven to work so well that when a win hasn’t been achieved, the usual result would be a break-even situation. Because of this, the system contains a great many examples of different break-even situations and helps you to take maximum advantage of that opportunity, as well. For those who wish to make their betting activities more than just a simple every-now-and-again diversion, this is the way to go. Besides the enjoyment of betting on your favorite teams, you’ll have the advantage of knowing when and how to bet. This way, you can turn your betting into a dependable source of income. As such, The Betfair 1 % Club System is highly recommended. With a potential of generating 70% wins, 25% break evens and 5% losses (provided you follow the system’s rules exactly), this is a system that you truly want to investigate. The Betfair 1% club is available as part of the Betting Mastermind package. It gives you a lifetime access to another twelve excellent products. Is it possible to buy just the Betfair 1% system. Great writeup there, Are these product of yours restricted to just UK residents, or world wide? Can punters from Nigeria subscribe to your betting mastermind? Hi Hope! Sorry these products won’t work for Nigerian residents. Most of the bookies we deal with only accept UK punters. 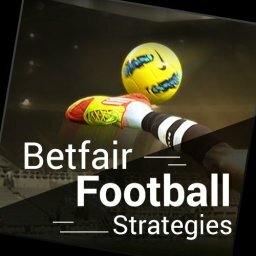 Hi, does this system only require Betfair or do I need other bookies? Hi Anderson, it’s a Betfair only system. No bookies are required. Hi so can you just buy the betfair 1% club from you please? Drop me a message https://mikecruickshank.com/contact/ and I’ll see what I can do. Hi Stephen, Drop me a message https://mikecruickshank.com/contact/ and I’ll see what I can do. Great fan of your products. This sounds great too, may I ask a question please? You say it is “…one of those betting strategies that you can set and forget about until the actual event takes place” and then later on you say “…only plan to check the progress once every hour”. So is it a case of purely putting on the back and lay bets and then walking away into the sunset without a care in the world and then popping back next day after the match to see if I’ve won or lost or broken even and with this approach I should get around your stats of 70% win, 25% break even and 5% losses? do I need to monitor each hour and occasionally take some form of action in Betfair (to for example break even) in order to get the stats you mention of around 70% win, 25% break even and 5% losses? I would never leave a trade in the market without checking it. However once the profit is locked in you can forget about it. Most of the time you don’t need to do anything, but occasinally you may need to trade out for a break even / small loss. Nobody can win every time unfortunately. When are we expecting your latest addition? New product. Hi Joseph, Mastermind users have been invited. I think the next opportunity for other users will be in August when the new football season starts. I’ll have to see how it goes for MM users first. Unfortunately I am in Australia & it seems they all will not work from here. We do have a few UK bookies but I think not enough. 1% Club seems to be the only one I could use as it is Betfair only. Only problem is because of the time difference it is not possible to monitor events to trade out. Can I still use this system profitably as a set & forget, some events I may be able to monitor but many will be during the middle of the night here. If there is some way it can used here could I please purchase seperately because as I stated others will not work here. Finally it would be great if you could come up with a system, probably using Betfair which could be used by those outside of UK. I am sure you would have many many takers. Is there any of your current systems that can used outside the UK. Hi Brian, Can you use Each Way Sniper? That would work well if you can bet on UK horse racing. That will work for any country as there’s no bonuses or special offers involved. It’s set and forget, once you’ve placed the bets you don’t need to do anything else. Yes we can bet on UK races in Australia but only with Australian bookies. There are a few UK bookies here but not many i.e. Ladbrokes, bet365, unibet but we cannot open accounts with UK bookies. It seems that the software searches UK bookies for the best prices. If the software uses UK bookies to find bets then presume it won’t work here. There is no site here like oddschecker giving all Aust bookies comparisons. Also do you look at each race just prior to start or can bets be made in advance? Still trying to find a decent system that can be used here.